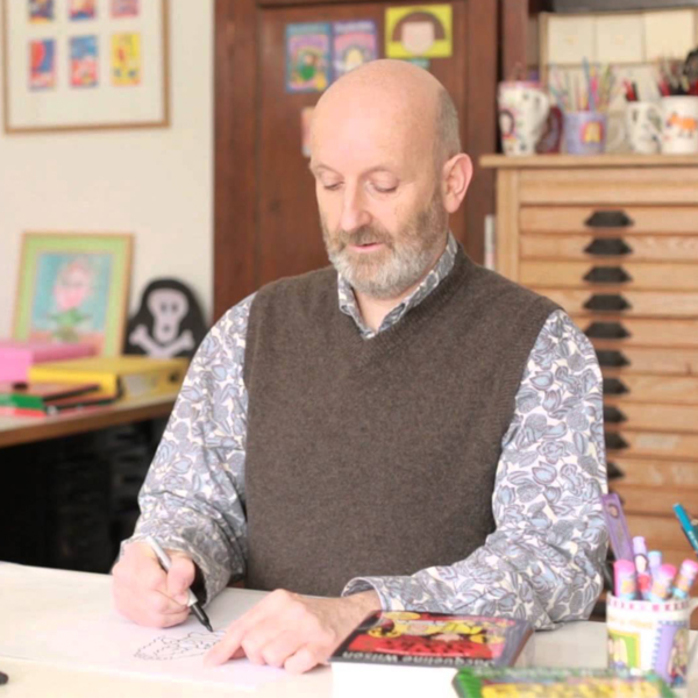 Join Nick for a family-friendly, fun-filled Draw-Along. Hell show you how to create characters like Tracy Beaker and Timothy Pope and invent animals like the Wellyphant and Socktopus. Hell also be telling you all about his latest books The Cat and the King and You Choose In Space. Please bring paper, drawing things and something to lean on. We hope youll be able to stick around for a few minutes after the show to meet Nick and ask him to sign your books.